Genuine Fender® vintage-accurate chrome-plated tremolo arm with '50s-era break angle. 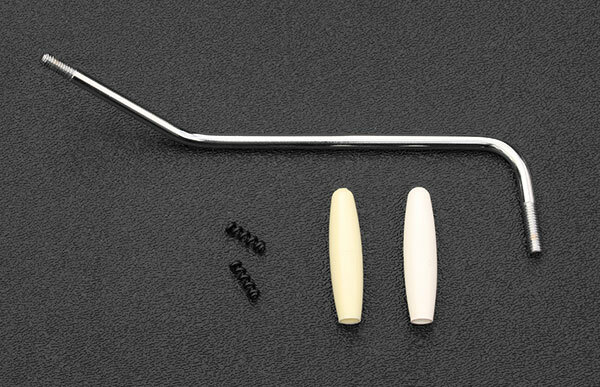 Includes tremolo arm tension springs, early '50s eggshell and late '59 vintage white tremolo arm tips. Used on original-era Stratocaster® guitars. Fits most vintage and modern Stratocaster guitars with a 10-32 threaded tremolo block. 5-3/4" Length.